An Irish-style pub famous for its hamburger, sweet potato fries, and huge beer selection. It has 60 beers on tap and another 300+ in bottles/cans. McNellie’s, more than anything else, is intended to be a comfortable gathering place for the community. A place for patrons to call their home away from home. The original McNellie’s opened in downtown Tulsa in 2004. It was inspired by the great pubs in Dublin that our founder, Elliot Nelson, encountered while he was studying abroad in Ireland. 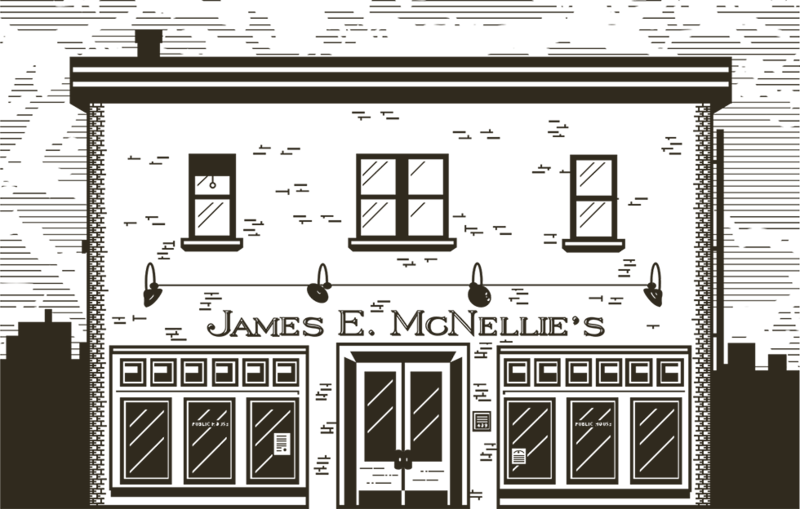 Since 2004 James E. McNellie’s Public House has brought the taste of Ireland to Tulsa, Oklahoma City, and Norman. The original pub that started it all. "This is by far my favorite place to go have beers/drinks. I became a regular here in 2014. There are over 300 different beer options. The people that serve you are amazing." "Delicious food, awesome beer selections. The service has always been friendly and fast. Food comes out really quick and is consistently delicious." "I didn't expect a bar to have such amazing food. The artichoke dip was seriously one of the best things I've ever eaten."